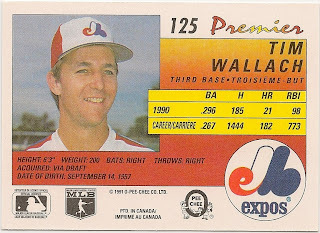 Card Review: 5.5 This was the first O-Pee-Chee set to be a unique design, rather than just a slight variation of the Topps base set. I preferred the slight variation and found this to be a completely unnecessary set. 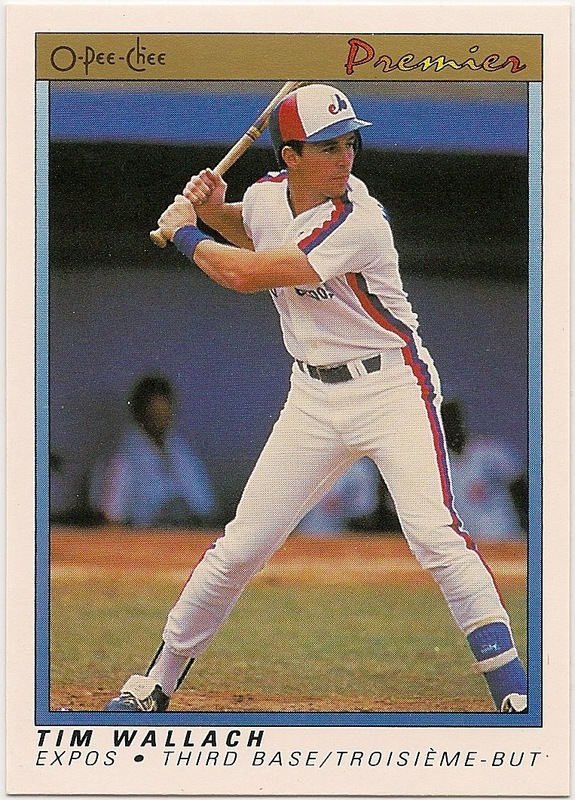 I'm not sure of the exact relationship between Topps and O-Pee-Chee, but I believe they were two different companies, and OPC simply paid for the rights to do a Canadian set using the Topps design. If that was in fact the case, then I guess I can't really blame O-Pee-Chee for wanting to do their own thing. Though that red/orange/yellow gradient fill on the back looks like something I could have done on my own computer back in 1991. So I can blame O-Pee-Chee for the lazy design. 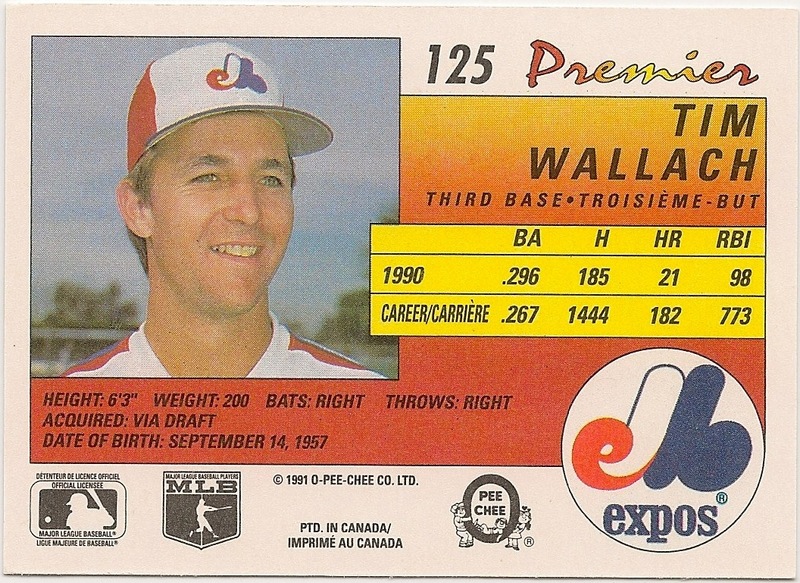 Fun Facts: *This is one of the only cards I can find to depict Tim Wallach using the model of bat that I have (allegedly game-used).